SEOUL, Aug. 12 (Yonhap) — Onew, a member of the popular K-pop boy band SHINee, was charged with sexual harassment in Seoul on Saturday. The Gangnam Police Station in Seoul said they’ve booked Onew, whose birth name is Lee Jin-ki, without physical detention for allegedly sexually harassing a woman. Onew, 27, is suspected of forcibly touching a woman in her 20s at a club in southern Seoul around 7:10 a.m. Saturday. A friend of the woman’s called the police, and Onew was apprehended on the spot. 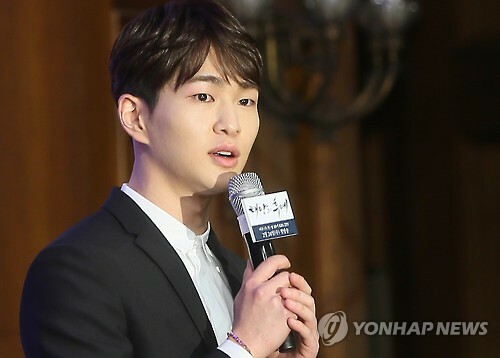 Onew apparently told police that he visited the club with his friends, and that he has no recollection of the alleged incident because he was too intoxicated. Police said they were also talking to the alleged victim and witnesses, and analyzing footage of closed-circuit television inside the club.